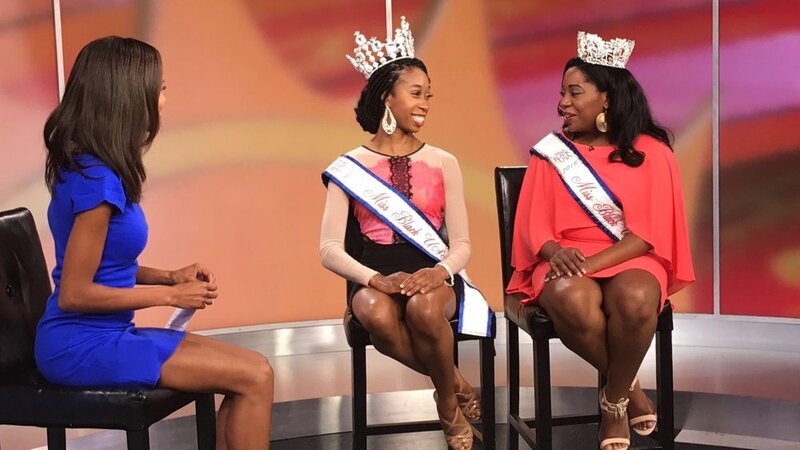 The newly crowned Miss Black USA Daphne Lee slayed her first interview after capturing the national crown with her predecessor Tonille Watkis. The two beauties made a guest appearance on WJLA-ABC7 NewsChannel 8. The interview kicked off with Daphne and Tonille showing Hosts Adriana Hopkins, Kidd O'Shea and Larry Smith how to walk, wave and smile like Pageant girls.